Support a specific organization – If you wish to provide on-going support for a certain favorite charitable organization or a list of charities, then you would create an endowment fund that designates specific organizations to receive annual support. We already manage funds like this for many faith organizations, The CARE Clinic, Cape Fear Regional Theatre, Cape Fear Botanical Garden, Fayetteville Academy, Fayetteville Urban Ministry, Fayetteville Family Life, Cape Fear High School, The United Way, and many other organizations. Click here to view videos about some of these funds. Then, call us and ask for Donor Support. It takes about ten minutes to create your own named endowment fund for your favorite organization. Support a “cause” – If you have a specific cause that you wish to support, then you would create a fund that is designed to achieve that result through a charitable organization selected by the community foundation every year. Examples include funds for hunger relief, education, historic preservation, help for senior citizens, aid for the poor and needy, clean air, the arts, animal welfare. This fund could be an endowment (only the investment income is distributed annually) or a spend-down fund (allowing the distribution of the investment income and a portion of the principal annually until the gift is spent down). Support changing community needs – If you care about this community but you are not sure what the needs will be in the future, then you may leave it up to the community foundation board to select the best projects and opportunities every year. 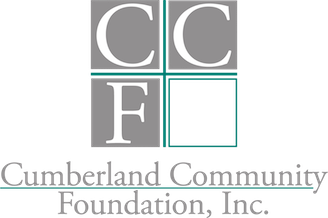 The community foundation accepts grant applications every year, examines the program budgets and plans, and chooses the best projects for that year. Grant recipients provide reports back to the foundation to ensure proper use of the support received from your fund. Funds like this helped start the Cape Fear Botanical Garden, The CARE Clinic, CC Medication Assistance Program (CCMAP), Fayetteville Symphony Youth Orchestra, the Sandhills Area Land Trust, and support many wonderful programs over the years. Send someone to college -- If your passion is changing lives through education, then you may consider a scholarship endowment or an education award endowment. 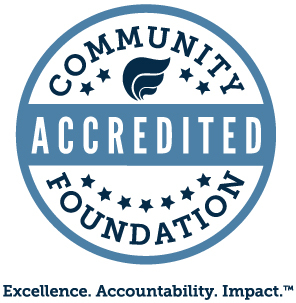 You decide the criteria for selection and the community foundation accepts applications every year. Our volunteer selection committee will ensure that your priorities are followed and your fund will benefit the students who best fit your intent.